The THRIVE Week planning group is pleased to announce that musician Robb Nash will be delivering the keynote talk and musical performance. All staff and students are invited and free pizza lunch is provided. 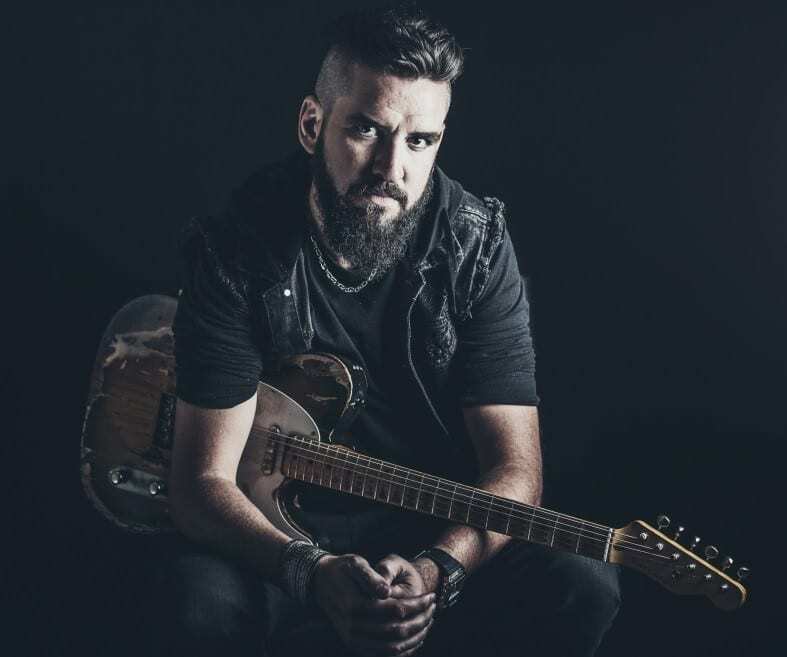 The award-winning Robb Nash Project is a registered Canadian charity that engages young people through the power of music and storytelling to inspire hope and encourage positive life choices. He sensitively tackles serious issues like addiction, self-harm, and suicide while exuding positive energy. Free pizza lunch will be provided to all who attend, while supplies last. 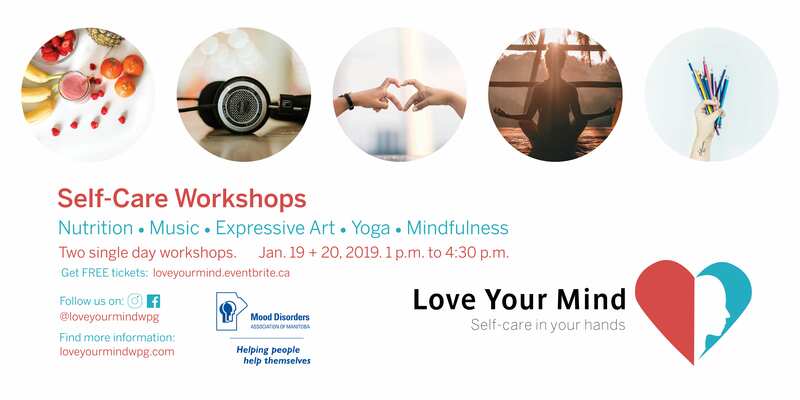 During THRIVE Week we take time to reflect on the role of self-care and balance on developing positive mental health that supports academic and career success. This year, THRIVE will be held November 5-9. Events and activities provide an opportunity for rest, social connection, physical activity, fun, personal growth, and learning. 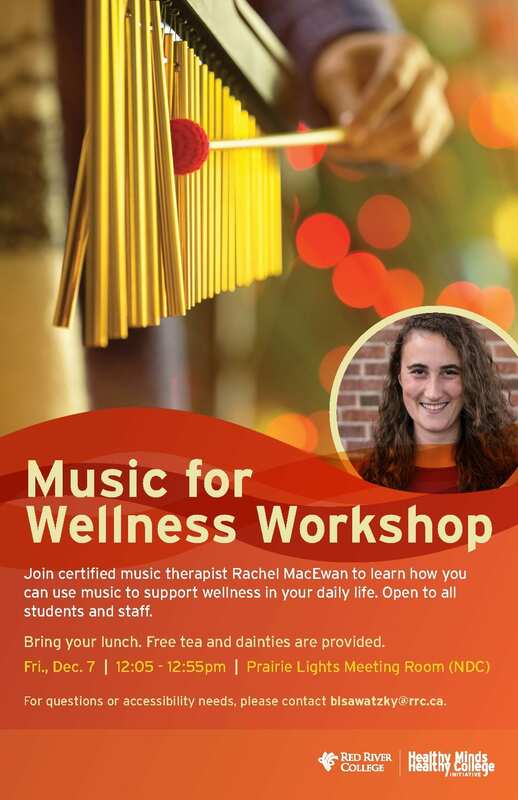 The week long series of events is a partnership between the RRC Students’ Association and the Healthy Minds Healthy College Initiative. Check out the NDC Thrive Guide and EDC Thrive Guide to see the full slate of activities. Please view the Thrive Week Guide below for times, dates and a full listing of all activities. Gear up this summer for some wellness approved summer festivals! Skip the workout! Spend an evening (or a week and half) hiking from venue to venue around downtown Winnipeg, while watching some of the best theater the 2nd largest Fringe Festival in North America has to offer. Music is medicine! Check out the Winnipeg Folk Festival for some natural (legal) happiness therapy. People from Japan, Italy and the Scandinavia are some of the world’s healthiest. Learn their secrets of food and dance at Folkorama. Check out the VIP Cycle Tour to burn calories between pavilions! Let the kids run wild at the Winnipeg International Children’s Festival. BUDGET SAVER ALERT! Did you know that children under 12 can pay once and visit everyday of the festival? Just keep that wristband on and trade in at the box office when you go in again. Need more culture? Visit Travel Manitoba to fill your summer with fun! Wow, the snow has finally melted (mostly) and it actually feels like spring. Nice. Here’s this weeks collection of wellness links courtesy of the Monday Mash. Jazz Winnipeg has put out its lineup for the Winnipeg Jazz Festival that runs June 13th to the 23rd. Despite the name, the Jazz Festival features an eclectic mix of artists covering a wide variety of jazz styles, with some soul, blues, indie rock, and hip hop thrown in for good measure. Many of the performances take place in the Jazz District in Old Market Square, just a stone’s throw from our Exchange District campuses. You can find the full list of performers here. One of the best things about spring is the return of so many birds who are coming back to their summer home or migrating through on their way further north. To familiarize yourself with bird songs, there’s some great resource books out there that have pictures accompanied with audio – such as the Backyard Birdsong Guide produced by Cornell Lab of Ornithology. I also came across a cool sounding app called iBird – which I haven’t used but might just pick up. If you dread this time of year, when there is non-stop hockey and basketball playoff action and the television is going non-stop, Psychology Today has some advice for you – with five tips for living with an avid sports fan. Ashley has passed along this piece about the relationship between chronic diseases and sitting too long. Makes you want to get up and walk a bit. If you have a link or a photo that you’d like to share send an email to mkrywy@rrc.ca and we’ll include it in a future “Mash” edition. This week on the Monday Mash we share some great links on music, memory, and the martial arts. Aikido turns conflict on its head. I’ve been fascinated by Aikido for years but have never followed my fascination into a class. The last session exercise classes here at RRC didn’t offer the Ki-Aikido classes that were offered previously and I was kicking myself for not taking the classes sooner. And since I hadn’t learned any form of Aikido yet I didn’t know how to redirect my kick and flow around it. If you really pay attention. This is a completely lovely story about paying attention. If you read it you can be warmed by a memory-story about learning to listen with the heart. SoundCloud. The SoundCloud website is an online audio distribution platform that allows collaboration, promotion and distribution of audio recordings by users. [wikipedia]. You have to sign up so that means another darn password to remember. But it’s free (or you can choose to go the paid subscription route) and you can find treasures to listen to! Or upload your own sounds, music and stories. There seem to be new audio files of all kinds uploaded every day. If you are a listener you will never run out of wonder. If you are a sound maker you will have an enormous audience. Virtual Choir. I had no idea I was a fan of choral music until I heard and saw Eric Whitacre’s virtual choir version of Lux Aurumque. The virtual choir concept and what Eric Whitacre has done with it is stunning and fascinating all by itself. He describes how it all started and how the process developed in this TED.com talk. You can find performances of choir music he has composed and conducted, some with virtual choirs on YouTube. I started with Lux Aurumque and continued exploring from there. Transcending is the word that floats into my brain when I think of this music. If you have a link or a photo that you’d like to share send an email to mkrywy@rrc.ca and we’ll try to include it in a future “Mash” edition. This week on the Monday Mash we have another set of fantastic Wellness-related links to share with you. For those who love internet-radio here’s a couple of links for you. CBC Music is a fantastic resource for Canadian music of all kinds – where you can listen live to CBC radio, find your favourite Canadian artist, or stream music from one of their online channels. If you’re into infotainment then Radiolab is what you need – such as this recent podcast about Stress (courtesy of my good friend Steve Page). If obscure art, literature, and popular culture is your thing, Maria Popova curates a fantastic blog called Brain Pickings. If you’re not sure where to start, here is her list of 7 Must-Read books on the Art and Science of Happiness. Fort Whyte Centre has their 14th Annual EcoAdventure Race on Sunday, April 21st. I’ve never participated, but it sure looks like an adventure, for the adventurous. I consider myself a child of the music video generation. I vividly remember staying up late every Friday to watch Friday Night Videos with Terry David Mulligan. I recall seeing the debut of Michael Jackson’s Thriller in a movie theatre in Lae, Papua New Guinea where my dad had taken the family on a year-long leave of absence from the Electrical Engineering Technology department to teach at the University of Technology in Lae. Aside from featuring some crazy dance movies and the Zombie storyline – that music video extended the limits of that genre into a whole other atmosphere. In the roughly 30 years that has passed, music videos have dramatically evolved – losing the spotlight they once had on television (hello Youtube) and becoming ingrained into mainstream film and television where the boundaries are sometimes blurred. This post looks at the art of musician M. Ward and animation director Joel Trussell. Neither is entirely a household name, though M. Ward gets a lot of love from CBC Music 2 (98.3 FM on the dial). In addition to his solo career, M. Ward is also in a band with Zooey Deschanel called She and Him (PS – if you’ve ever seen the movie Elf, Zooey plays the female lead) and another ensemble known as the Monsters of Folk. The first song/video is Chinese Translation off his 2006 album Post War. The song is a simple tale of a man seeking the answer to three eternal questions. The second song – The First Time I Ran Away was done several year later off his new Wasteland Companion album. I realize that everyone has different tastes when it comes to music and art, but I think these collaborations epitomize how music videos truly have become an art form unto itself. Plus it makes me “well” enjoying a few minutes of it.